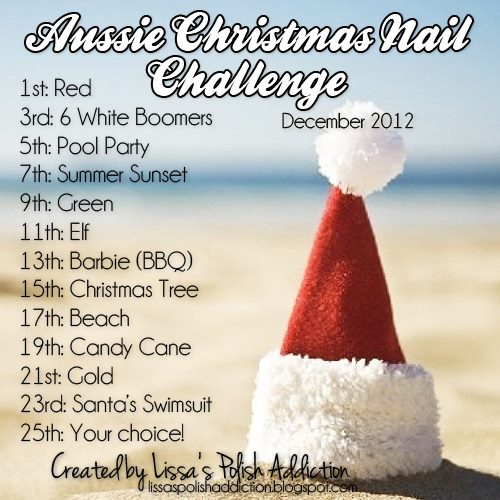 I'm a day late with my 'gold' post for the Aussie Christmas Challenge cause I wanted to do the apocalyptic nail art yesterday. 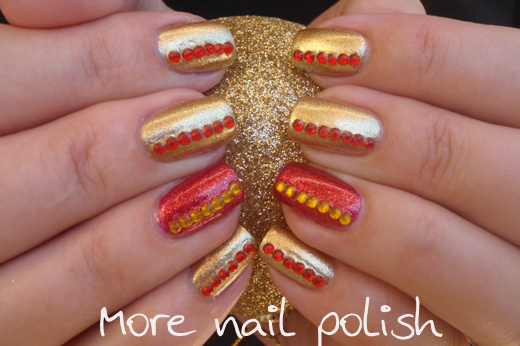 But there was no way I was missing the 'gold' themed day, because gold polish is definitely my most favourite polish. 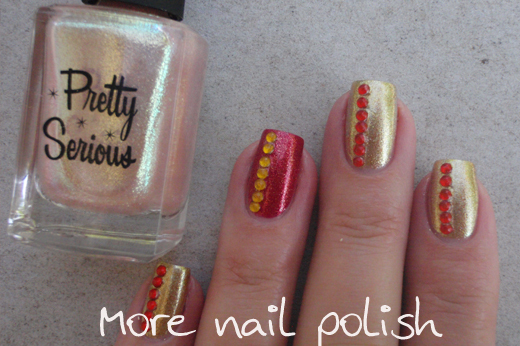 For today's gold polish I have actually combined two of my most favourite recent gold polishes. One coat of Zoya Ziv then one coat of Pretty Serious Mummy Mush. On the ring finger is Zoya Reva. 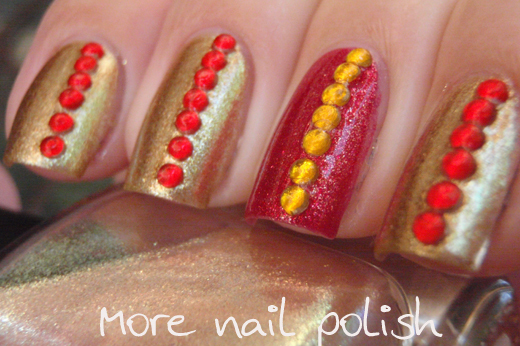 I then added the contrasting rhinestones off set to one side of the nail, to each finger using a layer of top coat. Then I sealed them in with top coat again. 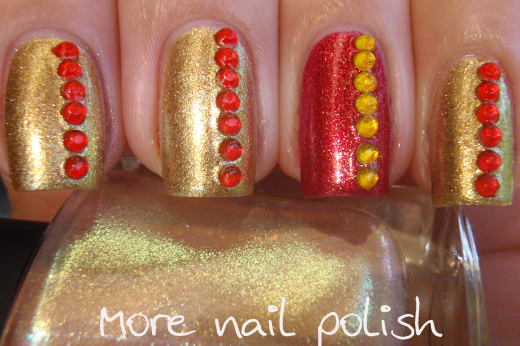 I really love this mani, although I wish that the gold rhinestones were a cooler toned gold and not so yellow. I think I need to get myself some of the gold studs from the Born Pretty store, they would have been a much better match. 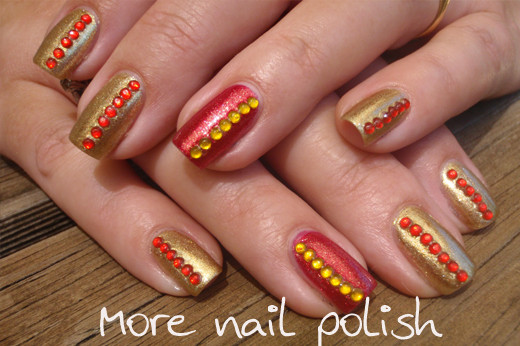 I love studded manis! I have the same problem with my studs though, the gold is really just an orangey yellow. I have some other studs that are a bit different that are gold though. Still looks really cool though! 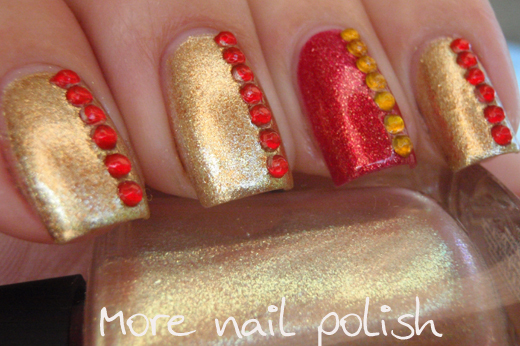 How elegant is this mani!! I love it and wish I had the patience to place the studs so perfectly.